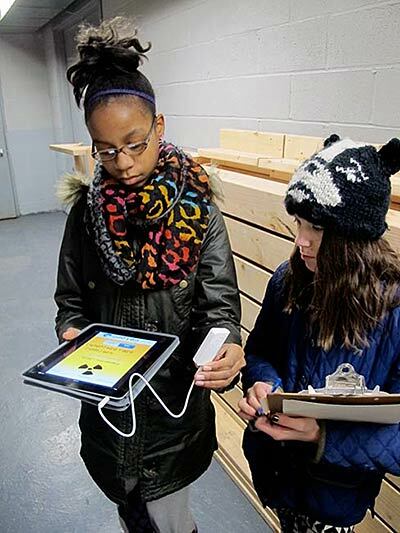 Youth Arts New York is pursuing a science and humanities project called Radiation Detectives. Its purpose is to understand what radiation is, how it is manufactured and how it occurs in nature. How do nuclear power plants work and how are nuclear weapons made? Part history lesson part applied science, to understand how radiation can impact human and planetary health is the focus of this interactive study. We are daily learning lessons from the Fukushima/Daiichi nuclear disaster and one of those lessons is that it is empowering to be able monitor the radiation around us and in our food. We teach students how to use Geiger counters that use a mobile phone interface and how to measure radiation. We suggest sites throughout New York City for investigative study and explore the possibility of your school participating in open source global radiation monitoring.